A “life cycle analysis” is a study of the “carbon cost” of a product throughout its entire useful life – from the manufacturer’s acquistion of raw materials to the product’s ultimate disposition in a landfill. It is a costly and time consuming process that reflects not only upon the product, but the environmental commitment of the manufacturer as well. It’s easy for a window film dealer to claim that his products are “green” because they save energy once installed; but unless those products are manufactured in an environmentally conscious manner, they are not truly “green.” All SolarGard® products are manufactured with strict adherence to the highest standards of accountability. 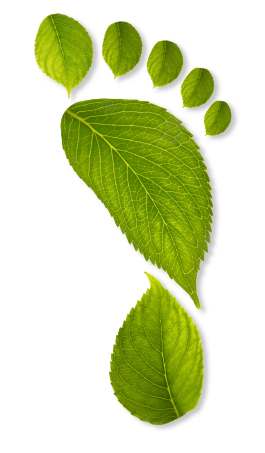 SolarGard has certified the carbon footprint of its own manufacturing facilities, and has been named in California as a Climate Action Leader. Environmentally sensitive consumers and commercial property managers alike, are more frequently insisting that the products they are installing in their homes and offices be backed with the scientific data to substantiate any “green” claims. At Solar-X of Sarasota, we stand ready to assist any client in gathering the scientific data they need to make an informed purchasing decision. Whether they have questions regarding sustainability, performance, or matching the best product to their objectives, we can provide our clients with the answers they need, and the data to back them up. Nearly four decades of industry involvement and continuing education go into every Solar-X project – from initial consultation to final installation. Contact Solar-X today. Proudly serving the entire area from Bradenton and Lakewood Ranch, to Sarasota and Venice since 1973. Rated “A+” by the Better Business Bureau.